Uglyworld #1371 - Tartans Army (Project BIG - Image 350-365), a photo by www.bazpics.com on Flickr. Tonight is withouts a doubter one of my most favouriter nights of the wholes entire year, and for a changer it has absolutelies nothing to does with cookies. Tonights is the night when Baz remembers where he comes from and becomes a members of the tartans army and shouters freedom all nights long at his workies christmaser party overs here in Germanies (at leasts that is whats I had heareds from his workiematers). 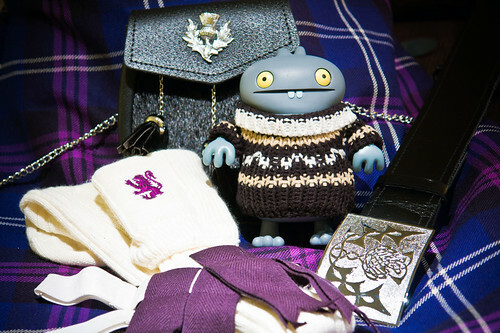 Maybies one days I can gets my very owns kilt to be an honouraries memberer of the tartans army! Ha ha, okays, I better finishers getterings all of his shiny bucklers and stuffs polishereds up so he can gets off to the party! Uglyworld #274 - "Hi Joey, It's Wage - Can We Have Pizza?"